Home / alternate reality / Do You Believe In Timeslips? We have this special love & hate relationship when it comes to limits but we love to compartmentalize everything so as to make better sense of it all. Scientists claimed that time is unmovable, yet so many people are still open to the idea that time could be more flexible than we can comprehend. Why is that? 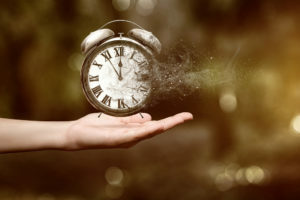 The concept of time travel has fascinated everyone at one point or another, our popular films, books, and music have pushed the limits on what that topic can lead to or mean on many levels. In our imaginations we go back in time, think far into the future and some of us often wonder if we exist in two different times in two different places simultaneously. Parallel universes anyone? Timeslips are considered by many to be real. These paranormal events seem to happen spontaneously in random places and by people of all walks of life. Technically, a timeslip is an encounter where it seems as though another era insinuates itself into the present during a brief interval of time. These alleged experiences can last anywhere from seconds to minutes. At times, a group of people reported repeatedly experiencing the same ones in the exact same spot. This indicates that it’s not just the imagination of one open individual at work. One of the most famous of these documented timeslips involved two English women vacationing in France in 1901. As tourists generally do there, the two women embarked on a tour of Versailles and after a jaunt to the palace, they got lost. As they wandered the area, they had a strange sensation envelop them both and men dressed in uniforms from a completely different era appeared and directed them to the Petit Trianon, which was where they wanted to go. The ladies happened upon various characters along the way that looked incredibly out of place for the time that they knew as the present, one of which was a man sickly disfigured with smallpox. Now at the turn of the century smallpox was still around, but not in the way that someone afflicted with it would be sitting out in the open with it in Versailles. Walking on they saw a woman on a lawn drawing in some notably unusual attire, and then a servant-like man appeared to lead them along and then all of the sudden they were amongst a wedding party that was definitely comprised of people from 1901, their “normal” present. Upon their return home to England, they pondered their Versailles experience and looked into some information on Marie Antoinette, as they were both inclined to think they saw her ghost (the woman drawing on the lawn). After a bit of research, they found a drawing of Marie Antoinette depicting her in the same clothing and in the act of sketching just as the two women had witnessed. Were these glimpses to another time real or had they just came across people re-enacting this drawing? Many other similar stories have been documented without any concise explanation of what actually happened. The answers? Time will tell…or will it?